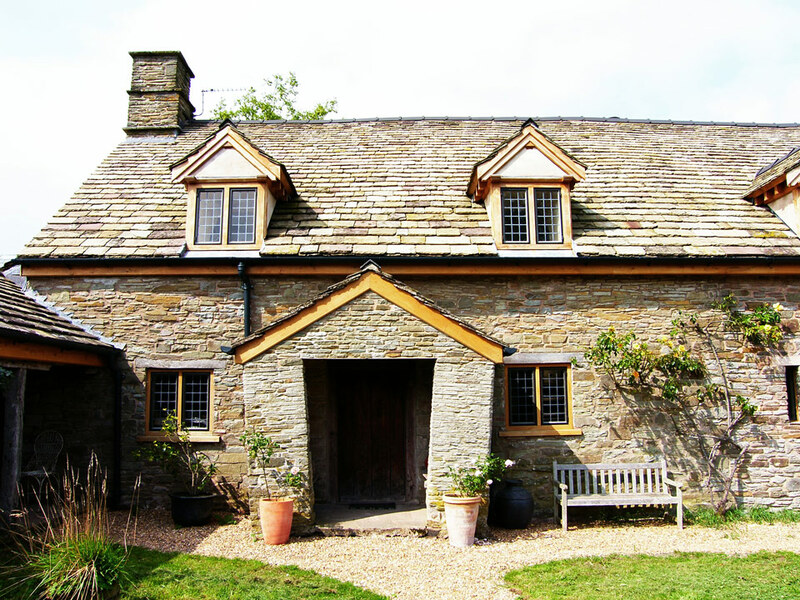 This Grade 2 listed former farmhouse, with its attached barn, dates from the early C18. As is so often the case it had been badly treated in the 1980s, with inappropriate concrete tile roofing and softwood windows. 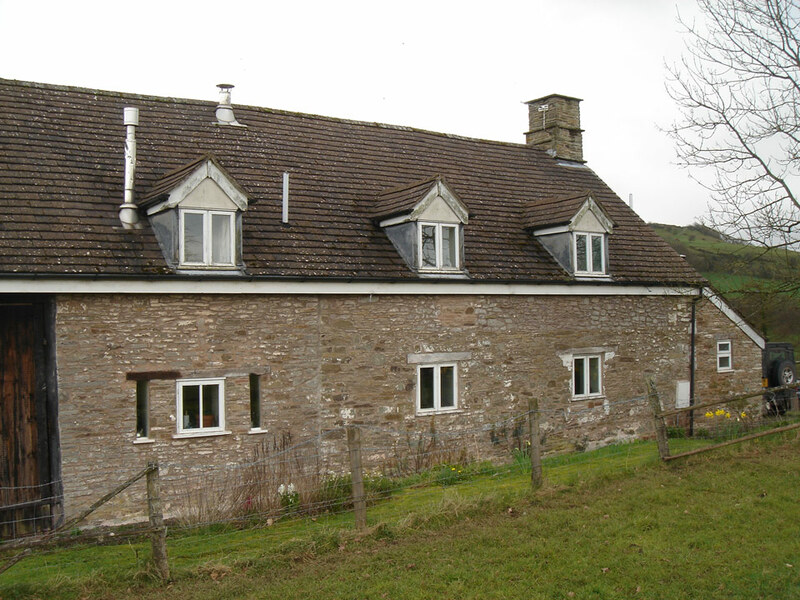 A full scheme of restoration was undertaken, including the reinstatement of a natural stone tile roof. Windows were all purpose made with traditional mouth-blown cylinder glass leaded lights set in bronze casements with English oak frames. Plastic rainwater guttering and downpipes were replaced in cast iron. The characterful porch, whose walls had at some time settled dramatically outwards, was stabilised and retained. The adjoining barn was converted for additional accommodation and its interior was left at full height, with a gallery bedroom and bathroom. Both threshing doors were fully glazed in order to create a vast light space.